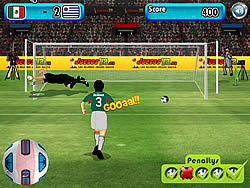 Welcome to Penalty Shootout 2010! Do you have the skills to go all the way to world cup glory? Now includes optional vuvuzela sounds! And select England to see what we think of their "Efforts" in South Africa!